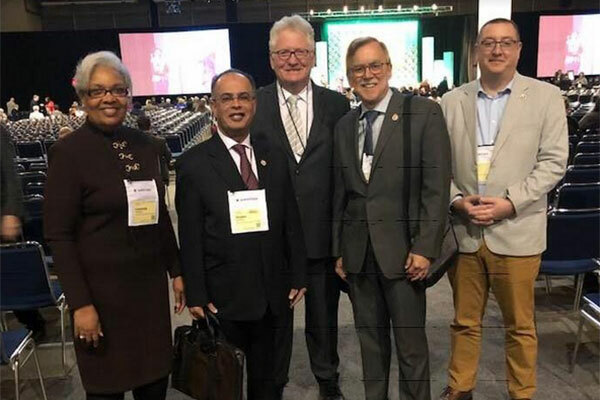 The Southern Association of Colleges and Schools Commission on Colleges (SACSCOC) has announced the accreditation of the American University of Ras Al Khaimah (Aurak) at its 2018 Annual Meeting held recently in the US city of New Orleans. SACSCOC, the regional body for the accreditation of degree-granting higher education institutions in the Southern United States, has a membership of more than 800 institutions in the Southern states and other international sites approved by SACSCOC that award associate, baccalaureate, master’s, and/or doctoral degrees. SACSCOC also awards accreditation to other international institutions of higher education that satisfy all its requirements and demonstrate compliance with its accreditation standards. Aurak now joins the very small group of elite international higher education institutions that have attained SACSCOC accreditation and can enjoy the diverse benefits of membership in this highly revered organization. Accreditation by SACSCOC signifies that the institution has a mission appropriate to higher education, has resources, programs, and services sufficient to accomplish and sustain that mission, and maintains clearly specified educational objectives that are consistent with its mission and appropriate to the degrees its offers and that indicate whether it is successful in achieving its stated objectives. The culmination of the accreditation process is a public statement of an institution’s continuing capacity to provide effective programs and services based on agreed-upon requirements. The statement of an institution’s accreditation status with SACSCOC also represents an affirmation of an institution’s continuing commitment to the Commission’s principles and philosophy of accreditation. Aurak is a non-profit, government-owned institution of higher education which provides the local, regional and international communities with a North American-style education integrated with Arabic customs and traditions.